It’s time to pull out the books that make your kids gush with ideas of what to do this summer! I historically have no trouble thinking of summer activities because summer and I are the best of friends. But this year I’ll be pregnant through July, most likely, it gets really, really hot here, and my children are not taking naps much anymore. The days might seem a little longer come July and a new baby. Here are the books we like for sparking imagination. A note: these books are mostly for kids ages 3-6. If you have ideas for older kids, please share! The very popular Ladybug Girl series is also great for showing children how much fun can be had with a little bit of creativity. 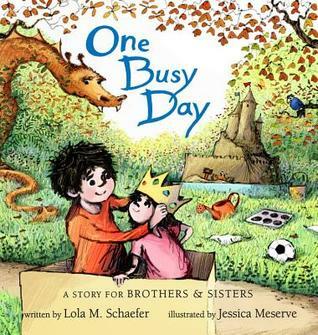 In the first book of the series, Ladybug Girl, Lulu’s family is too busy to play with her and she has to find some things to do by herself. 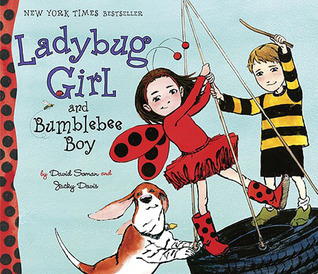 My children’s favorite is Ladybug Girl and Bumblebee Boy. I appreciate how it shows two children working out their differences in what they like to do for fun. By the end, Lulu and her friend, Sam, are having so much fun, other children ask if they can play along. Apparently, I am a fan of books where children make their own fun and bring other children into the realm of imagination, too. There have been days when Ella uses A Fire Engine for Ruthie as a to-do list. Ruthie is a little girl who has a penchant for trucks. Her Nana has other ideas of what would be fun. 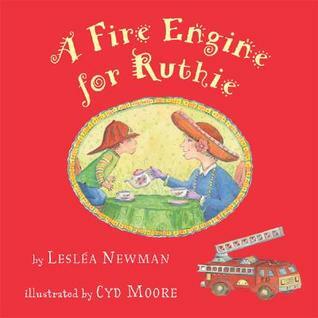 Ruthie turns dress up into a rescue operation, paints fire trucks instead of flowers, and so on. Finally, Nana comes around to Ruthie’s way of thinking. It’s a fun book for any girl, tomboy or not (and my little girl is decidedly not a tomboy), and an especially good book for girls with brothers who need ideas on how to mesh their play styles together. Speaking of play styles, my husband and I generally agree that TV and movies dumb down our children’s ability to entertain themselves. The more they watch, the less they can think of anything to do when the TV is turned off. However, I’ve got to say that one viewing of Disney’s Tangled provides at least a week of imaginative play for both our children…together! Especially if we turn on the soundtrack. Somehow, Tangled is the perfect mix of a princess movie with guy things like a a cool horse named Maximus and a daring hero that plays more than a fleeting part in the story. It’s our movie of choice for those days when we just need some down time. We just went to the library this morning and loaded up on more books. I’m hoping those will be inspiring to my children, too. If you have any ideas of other books that bring out the best in your children’s creativity, let me know! Need more ideas for children’s books? Check out the 31 Days Series for lots of great read-aloud books for kids!